We have been advised by our publisher that the MacGyver graphic novel release date has been rescheduled for Oct 2 for comic book stores and Oct 15 for online stores. This is due to the delay between comic stores and the book market that our distributor has in place. So, just to recap, in the last issue I was on my way to meet with Henry Winkler who asked to see me after I informed the studio that the ‘Hourglass’ concept wouldn’t work—at least in my humble opinion. Now Henry’s office was on the Paramount studio lot, which is smack dab in the heart of Hollywood. And the traffic there is usually terrible, so I’m really counting on the long crawl across town to rehearse the encounter in my head and get my nerves under control. No such luck. In some freak occurrence that defies all explanation there is no traffic. The roads are deserted and you just know I make every single traffic light. It’s almost as if I’m being inexorably pulled toward his office like it’s some black hole from which any escape is hopeless and I will be sucked into oblivion— forever. And before I know it I’m inside the studio gates and marching across the acres of parking lots, sound stages and twisting warrens of offices— in the searing southern California heat—so that, by the time I finally locate Henry’s office, you could wring the sweat from my clothes, my nerves are in wicked knots, and when his smiling assistant chirps, “Would you like something to drink?” it takes a Herculean effort NOT to ask for a double scotch and instead mumble that a water will be fine, before I’m ushered in to meet my fate. 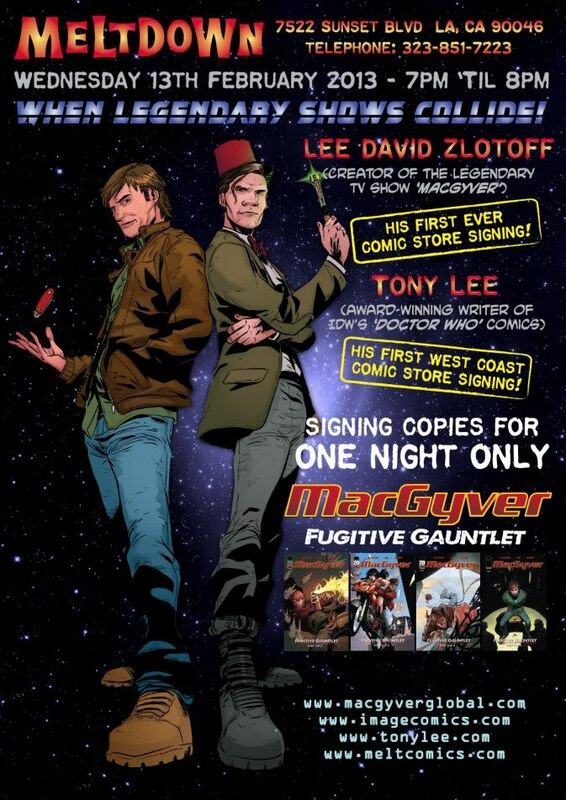 The second issue of the new MacGyver comic book series “Fugitive Gauntlet” will be available on-line and in stores. The re-printing of Issue #1 with the variant cover will also be available. 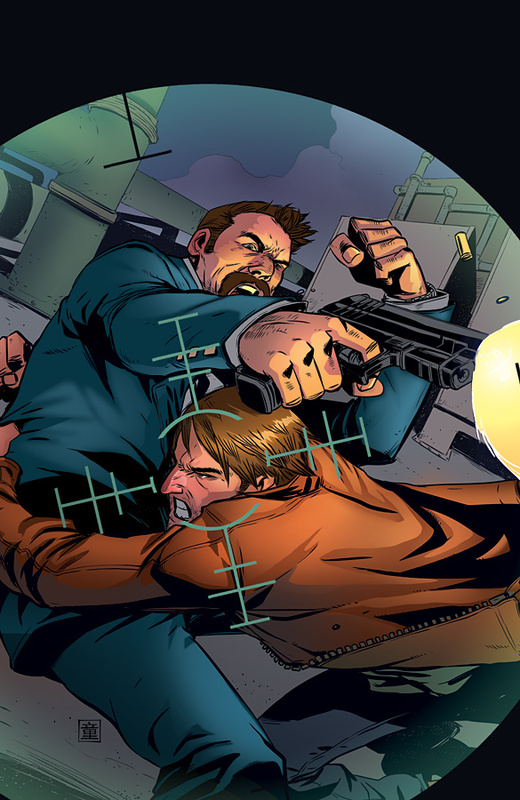 The cover art for the 5th issue of the MacGyver comic book series has been released. This issue is due to hit the stands February 27.